Central Saxony is one of Saxony’s vibrant economic regions. It is here where cutting edge technology goes hand-in-hand with genuine craftsmanship, where research and development join forces with highly specialized industrial production and creative engineering expertise. The region’s key economic data aptly demonstrate that there is no contradiction in economic growth and sustainability. With two universities, 11 research facilities, and numerous institutes actively promoting cooperation, Central Saxony is an important scientific hub in Saxony. The business venue Central Saxony scores points with its central location, its superb transportation connections, and its attractive commercial zones. Skilled employees and specialists – their productivity and their work are the driving force of economic development in Central Saxony. 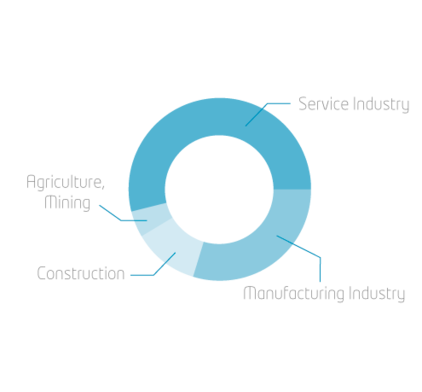 A multifaceted spectrum of industrial branches and more than 13,000 small and medium sized companies characterize the region’s business environment. Come and learn more about our region, our culture, and our people and find out why so many international companies make Central Saxony their home in Germany and Europe. Central Saxony is located right in the heart of the Free State of Saxony, between the cities of Leipzig, Chemnitz, and Dresden. Due to its superb location in the middle of Europe, Central Saxony also benefits from cooperation with the neighboring Czech Republic. With its 2,113 square kilometers in prime location, Central Saxony is one of the largest territorial counties of the Federal Republic of Germany. High value creation, dynamic economic power, and superb investment rates assure Central Saxony’s excellent reputation as an attractive business venue. An inventive spirit and a wealth of ideas, combined with sustainable entrepreneurship and numerous highly qualified skilled employees identify the region as a great place to work in. But Central Saxony also has a lot to offer when it comes to quality of life. Sustainable economic activities, efficient corporate management, future-oriented investments, and innovative thinking are a solid foundation for economic growth. 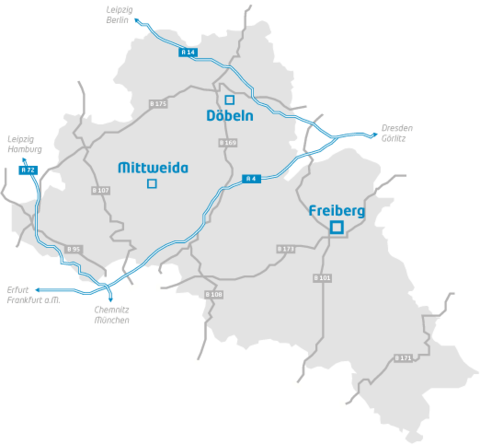 Central Saxony has a superb transportation network. Its central location in Saxony and Europe is a real locational advantage. Quick and easy access is assured to the cities of Leipzig, Chemnitz, and Dresden as well as Berlin, Hamburg, and Hannover via air, rail, and road. A well-balanced spectrum of industrial branches and a competitive edge in research and innovation form the foundation of Central Saxony’s economic success. 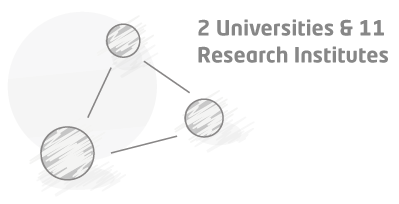 With two renowned universities, the University of Resources TU Bergakademie Freiberg and the Hochschule Mittweida University of Applied Sciences, as well as eleven research institutes, Central Saxony is one of the most important scientific venues in Saxony – a perfect prerequisite for innovative and research-intense industrial branches. Companies appreciate the region’s scientific environment and business-friendly climate which has already created many innovative products. As the “University of Resources,” the Technische Universität Bergakademie Freiberg applies sustainability as a holistic concept to securing a stable supply of raw materials. It spans the entire range from exploring new and domestic deposits to developing alternative energy technologies and recycling all the way to researching new materials. Such engineers and entrepreneurs as August Horch, Friedrich Opel, and Hans Bahlsen all have their roots in Mittweida and helped coin the concept of economic sustainability. The Hochschule Mittweida University of Applied Sciences scores particular points with its family-friendly environment, intercultural competence, and applied research. Central Saxony’s infrastructure and telecommunication system are state-of-the-art. These are the perfect prerequisites for procurement and sales in Saxony, Germany, and Europe. The broad spectrum of industrial branches encompasses highly specialized companies active in the sectors laser and semiconductor construction, renewable energy, metal construction, the paper and textile industries as well as the automotive supply industry. Creative minds and German engineering spirit are a perfect match! In Central Saxony, companies get all the support they need. A wide range of subsidies is available quickly and unbureaucratically for the conceptual and financial support of companies investing in the region. KOMSA KOMMUNIKATION SACHSEN AG is one of Europe’s leading distributors and service providers of the information and communication technology (ICT) branch. With 1,450 employees, the ICT specialist is Saxony’s largest owner-operated company. KOMSA AG cooperates in partnerships with all renowned manufacturers and system operators. Products and solutions from one source, channel-specific sales, and the provision of the requisite services are the hallmarks of the Hartmannsdorf-based company. Siemens Industry: Located in Penig and responsible for the assembly of standard and rail transmission systems in Europe as well as the production of parts and components for Siemens industrial gears, the Siemens Industriegetriebe GmbH corporation is an important pillar within Siemens Industry’s global manufacturing network. Hitachi Automotive Systems Europe GmbH, Sachsen Works in Roßwein belongs to a network of plants and factories of the globally active Japanese Hitachi Group. Approximately 270 employees are committed to the production of high tech fuel injection pumps for the automobile industry. In Roßwein’s commercial zone, up to 220,000 high pressure pumps for fuel injection in vehicle engines are assembled every month. The production site is to be expanded for additional Hitachi Automotive products in the future. 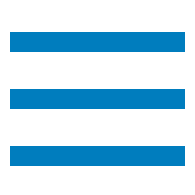 SWAP (Sachsen) GmbH is an industrial enterprise specializing in the production of dimensionally stable paper composite systems with sinus wave structures. The stable honeycomb boards are used in vehicle construction, in the construction industry, for furniture or interior furnishings, in trade show and display construction as well as for special packagings. A large sum of money was invested into new production technologies, the expansion of storage capacities, and a new technical center in Frankenberg’s commercial zone. Pierburg Pump Technology GmbH is one of the leading global manufacturers of coolant, oil, and vacuum pumps. At its Central Saxon production site which is located in a former factory for small electric engines in Hartha, the company manufactures coolant pumps and state-of-the-art electric drives. The Hartha factory is particularly proud of its in?house development of a water circulation pump. So far, this pump has been built more than a million times in Hartha which is one of the reasons why Pierburg has been so successful in this economic region. The company belongs to the automotive supplier KSPG AG which, in turn, is part of the Rheinmetall Group. A dense network of children’s day care centers, schools, and educational institutions provides the perfect foundation for satisfying the job market’s demand for highly qualified skilled employees.  In pioneering programs of studies, the two universities impart profound knowledge to the next generation of economic experts, engineers, executives, and scientists. Due diligence and punctuality are among the Central Saxons’ strong points. Flexibility, ingenuity, and commitment to work additionally enhance these characteristic features. The “work-life balance” is very important because where people love to work, they also want to have a beautiful home. Whether it’s living in a bustling city or enjoying an individual and idyllic country life – in Central Saxony, everyone finds the residence of their choice. Picturesque landscapes dotted with historic castles, palaces, and monasteries tell many a thrilling tale. Central Saxony’s Mittelsächsisches Theater with its three stages as well as numerous regional museums provide a multifaceted range of cultural and recreational highlights. The staff members at the regional economic development agencies in the county and the municipalities see themselves as service providers acting on behalf of commercial enterprises while also cooperating closely with the Free State’s Saxony Economic Development Corporation (WFS). The services range from providing assistance in finding the right corporate location to establishing contacts to new partners all the way to participating in project-related cooperations. One of their specific tasks is to provide support in approval procedures and/or financing issues. Diese Website benutzt Piwik, eine Open-Source-Software zur statistischen Auswertung der Besucherzugriffe. Piwik verwendet so genannte Cookies, Textdateien, die auf Ihrem Computer gespeichert werden und die eine Analyse der Benutzung der Website durch Sie ermöglichen. Die durch den Cookie erzeugten Informationen über Ihre Benutzung dieses Internetangebotes werden auf dem Server des Anbieters in Deutschland gespeichert. Die IP-Adresse wird sofort nach der Verarbeitung und vor deren Speicherung anonymisiert. Sie können die Installation der Cookies durch eine entsprechende Einstellung Ihrer Browser Software verhindern. Wir weisen Sie jedoch darauf hin, dass Sie in diesem Fall gegebenenfalls nicht sämtliche Funktionen dieser Website nutzen können.